Fail Squad Games is having such a great time with our Kickstarter, a move, and all this snow…. it’s time to REALLY celebrate the holidays… by rolling dice! From now until December 11th at midnight you can save 50% on ALL FSG PDF titles in our web store! 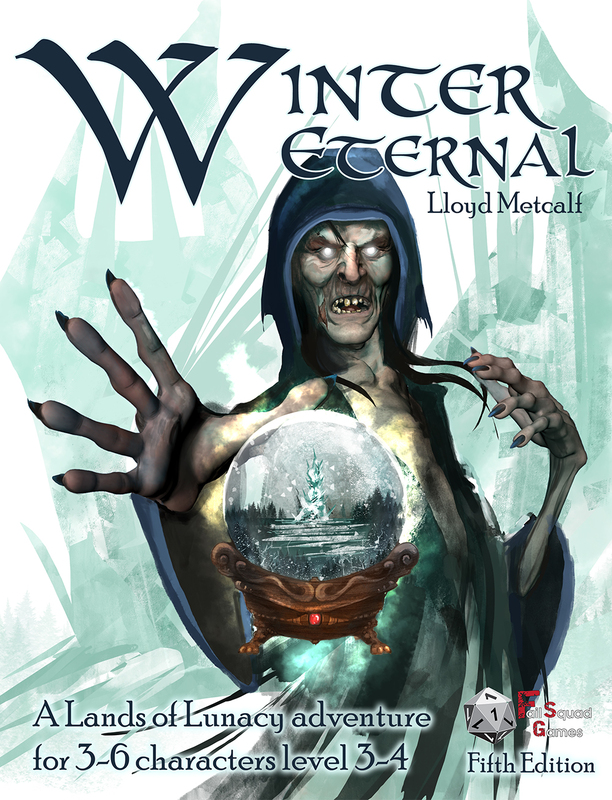 Some new ones have even been added, and let’s not forget the seasonally appropriate Winter Eternal! How do I get the half off bargain? I’m glad I asked for you… just pop on into the Fail Squad Games online store and add any and all pdfs to your shopping basket. 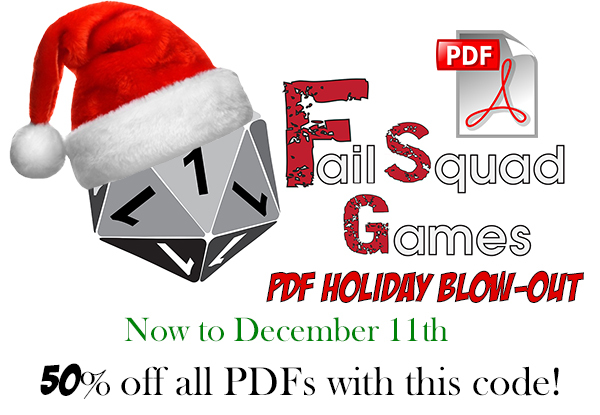 Enter the special code FSGholiday on check out… and HO HO HO – half off all PDFS! This is a limited time coupon that will expire on Dec 11th at midnight. It’s snowing out there!!! stay in, play some games! Happy Holidays – Fail Squad Games.